The Mindy Project – Season 5 (2016) – What's New on Netflix Canada Today! A young Ob/Gyn doctor balances her personal and professional life, surrounded by quirky co-workers in a small office. Aiming to straighten out her complicated personal life, a top doctor seeks to overcome her obsession with romantic comedies and finding a soulmate. 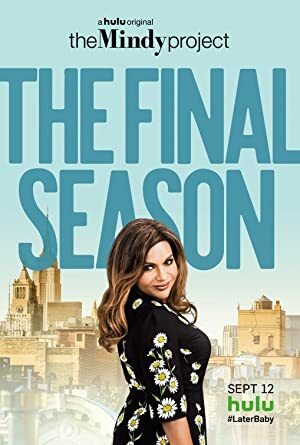 After Jody tries to win Mindy’s heart by buying her an apartment, Mindy is torn between her old love, Danny, and a relationship with Jody. Tamra is suspicious about Mindy’s trip to Miami so she and Colette go undercover to figure out what really happened. While Mindy struggles to take care of a sick Leo, Shulman and Associates is rocked by a nurses’ strike led by Ben, a handsome male nurse. Meanwhile, Jody tries to sell the upstairs apartment and Brendan Deslaurier comes to Mindy seeking help. The nurses’ strike continues, while Mindy finds herself having romantic feelings for the enemy – Ben, the leader of the nurses. As the doctors and nurses try to stay strong, Jeremy finds that the stress is taking a serious toll on his health. As Jeremy recovers from his heart attack, the practice needs another doctor. Jeremy and Jody want to hire a woman, but Mindy isn’t sure about sharing the spotlight. Meanwhile, she and Ben are getting serious.